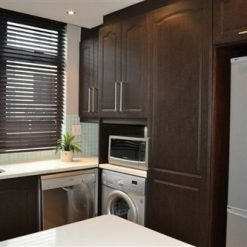 Venetian blinds also known as horizontal blinds are easy to install and affordable. 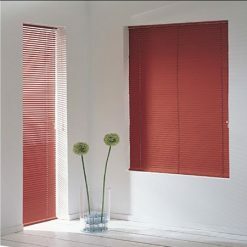 This popular blind type offers a modish tidy look with the choice of maximum privacy when all slats are closed. 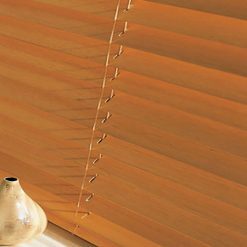 A suitable option for all your windows, venetian blinds comes in an assortment of styles and custom made-to-measure sizes to satisfy any home or office décor need. Blinds Directs’ exclusive collections of venetian blinds are available in a mélange of materials, namely wood and aluminium. We also offer Aluwood Blinds (aluminium blinds with a wood grain effect) and Plaswood Blinds (hybrid composite material which combines both plastic and wood). These robust materials give the soft appearance of wooden blinds with added benefits of being cost effective and more durable. The first thing that comes to mind when selecting a window treatment is how will they look. 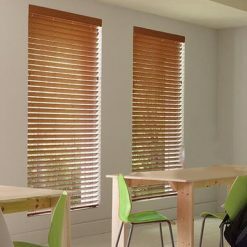 Horizontal Blinds, are more simplistic and complements any interior design style, as they can look both formal and casual. 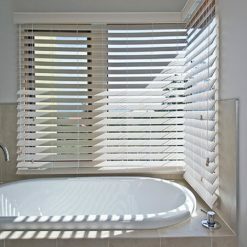 Venetian blinds have horizontal slats (hence the name, horizontal blinds), one above another. These slats are suspended by strips of cloth called tapes, or by cords, by which all can be rotated through nearly 180 degrees in unison. The slats are rotated so that they overlap one side facing inward and then in the opposite direction so that they overlap with the other side facing inward. Between those extremes, various degrees of separation may be effected between the slats by varying the rotation. 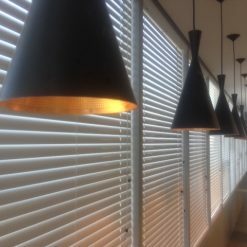 Venetian blinds allows for easy control on how much natural light enters the room. There are also lift cords passing through slots in each slat. 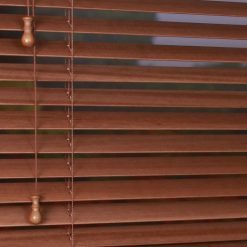 When these cords are pulled, the bottom of the venetian blind moves upward causing the lowest slats to press the underside of the next highest slat as the blind is raised. A modern variation of the lift cords combines them with the rotational cords in slots on the two edges of each slat. This avoids the slots otherwise required to allow a slat to rotate despite a lift cord passing through it, thus decreasing the amount of light passing through a closed blind.